Where to begin with Tangerine? There are so many aspects that make this a modern, fresh, smart, and hilarious pleasure. It may very well be the best film of all time that was entirely shot on an iPhone. It is a 21st century update of Spike Lee's Do The Right Thing, minus the anger and political lecturing. Director Sean Baker (Starlet, Prince of Broadway) strikes gold in the form of two lead performers. Kitana Kiki Rodriguez and Mya Tailor explode onto the screen like a force of nature. The first-time actors display spades of pure natural charisma and impeccable comedic timing. Their inside knowledge of Los Angeles' transgender community also informed the script-writing process. 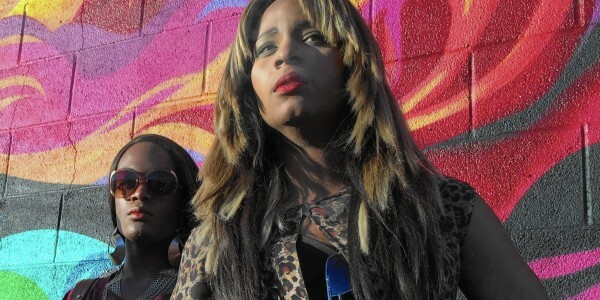 The audience does not observe the world of Tangerine from the outside; they are thrown in the midst of the daily chaos that takes place on a few sunny blocks between Hollywood and West Hollywood. Baker goes for a punk neo-realist aesthetic within the confines of an old-fashioned screwball comedy. The simple narrative is merely an excuse to delve into this alien world for many viewers. 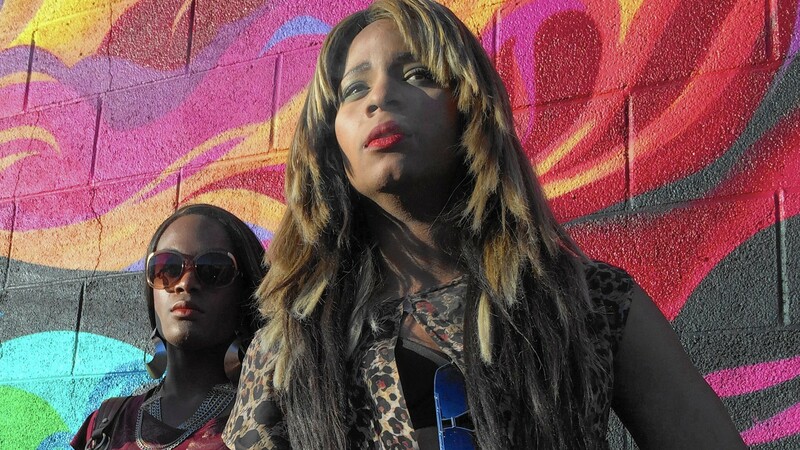 Sin-Dee (Rodriguez) and Alexandra (Taylor) are two transgender prostitutes who reunite over a festive doughnut. It's Christmas Eve and Sin-Dee has just been released after a short stint in jail. Everything seems fine, until she learns that her boyfriend/pimp has not been faithful. Furiously, she storms off to confront the guilty parties. Another storyline follows taxi-driver Ramzak (Karren Karagulian), an Armenian family-man with a fondness for transgender prostitutes. These are unconventional characters, but the film never patronizes them. We always laugh with them rather than at them. The farcical situation grows and grows, before culminating in a hilarious shouting match. There even is a hysterical mother-in-law. Tangerine is nevertheless very sensitive to the struggles of social outcasts. Discrimination and transphobia are no longer ubiquitous and explicit, but the problems remain real. The Christmas Eve setting is very important here. When most people spend time with their family and loved ones, Sin-Dee and Alexandra only have each other. During the rare quiet moments, a sense of loneliness shines through. One heartbreaking moment sees Alexandra sings "Toyland" for a crowd of two in a deserted bar. She even had to pay the manager to perform. Life is difficult, but not depressing. Challenging, not pathetic. Sean Baker meanwhile does not come from the world we discover in Tangerine. He lives nearby, but he remains an outsider. This is reflected in the film's look. His vision of Los Angeles is full of color. Where most filmmakers would go for a desaturated palette to create realism, Baker does the exact opposite. The piercing blue of the sky and bright urban jungle reflect the colourful characters. The directors uses countless musical cues of all kinds of genres, from Beethoven to house, to add energy and rhythm. The entire film was shot on an iPhone for economic reasons, but Baker turns this constraint into a virtue. The small camera forces him to get really close to the actors and shoot wide images. The director has talked about the influence of new media (particularly Vine) on his work, but Tangerine remains inherently cinematic. The camera movement, the editing, the sound design, the colors - they are all designed for, and work on, the big screen. Here is the proof that, in the right hands, iPhones and cinema does not have to be mutually exclusive. Not every movie could be shot on a phone, but it works for Tangerine. It actually is a better film because of it. A fantastic, hilarious and original artistic achievement.